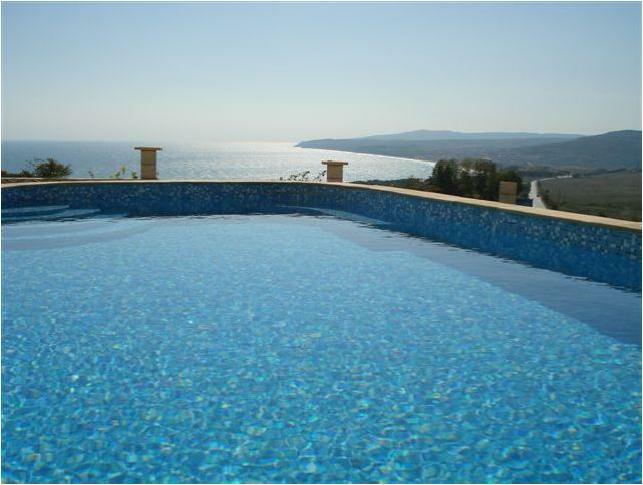 The Sunny Deram complex is located in the Southern part of Balchik about 100 m from the main road to Albena. It enjoys a privileged location and is recognized for its fantastic combination of sea activities, historic landmarks, botanical gardens and golf. In Sunny Dream you can spend your holidays on a private area surrounded by natural parks and aquatic sights and the category of the resort will provide an entertainment atmosphere for the whole family. This spacious, well appointed one-bedroom rental apartment has outstanding sea views. It has been finished to an excellent standard and furnished with all the conveniences you will need for a comfortable stay. There are two single beds and a double sofa bed in the living room. The apartment is full air – conditioned and has a terrace overlooking the beautiful holiday complex and the sea. Sunny Dream is a quiet and cosy residential sea-view project in the seaside town of Balchik. It comprises two mirror buildings on 6 floors and an open terrace on the top. 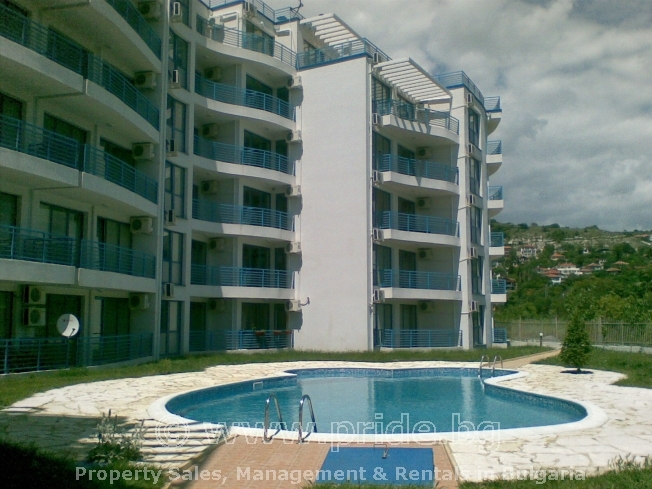 Balchik Sunny Dream Complex is situated behind the Palace in Balchik. There are two possible ways to reach the beach and if you walk down the direct alley, the beach is about 300 m from the complex. The area of Touzlata is located 4 km east of the town and is well known for its curing mud. A spa-centre was built beside the two lakes, formed by old landslides. The lakes bottom is covered with black hydrogen sulphide peloid and it relieves patients suffering from joint disorders. A large recreational complex, a lot of villas, bungalows and a camping site are built here. There is a mineral spring with water temperature of 31 °C. The two big camping sites - Sandrino Camping and Belia Bryag Camping offer various opportunities for rest and water sports, clubs, bars, numerous bungalows for tourists having no camping equipment, small restaurants and stalls for sea and continental food. 15 kilometres south-west of Balchik is the village of Obrochishte with a well-preserved fortress dating back to the early Ottoman rule. There is regular bus transport from/ to Sofia, Dobrich, Varna and Albena. Apart from buses, there are numerous taxis and private mini-buses, boats and water transport to other beach resorts on the Black Sea. Also Pride Rentals offers airport transfer to all it’s guests and more information can be found on this website.